In 2008, terrorists developed a biological weapon called "Blizz". They used this weapon in local weather patterns in the United States. As it falls from the sky, it will instantly burn any living thing it touches. At her seventh birthday party, young Peggy (Emily Graham) watched as her friends were killed by Blizz. Ten years later, America has been ravaged by the effects of World War III. The death count continues to rise in this dark and bleak future and some states simply no longer exist. Peggy (Jessica Lowndes) is now a teenager, ignorant of the world outside of her mother's diner. She has lost both her father and her sister, Anna, and now depends on her mother, Kate (Marilyn Norry). One day, Peggy meets biker/drug addict Jak (Jonathan Tucker) and his two "friends", junkies Boxx (Ryan McDonald) and Celia (Lucie Guest). The three are into some shady dealings with a nightclub called The Doom Room, located in the town of Muskeet. Kate warns Peggy that "everything the people of Muskeet do is a goddamn trick", and although she's afraid to disobey her mother, Peggy sneaks out with Jak in the middle of the night to the Doom Room with Boxx and Celia. Muskeet, as it appears, is completely ravaged and the home to ravagers, sociopathic bikers, and teenagers. 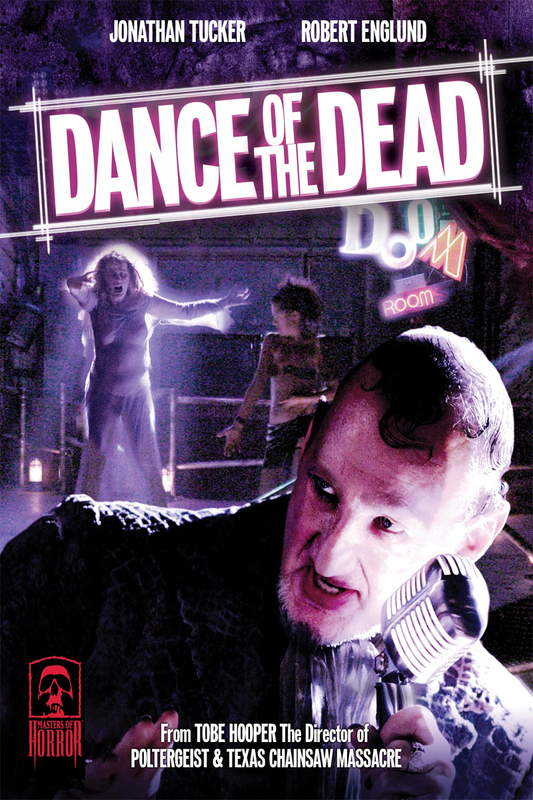 The Doom Room is a heavy metal bar run by an MC played by Robert Englund. As Peggy and Celia watch the band Decree perform, Boxx and Jak go behind the stage to perform a business deal with the MC. They trade him packets of blood, for what has yet to be revealed. The MC promises that he will pay them if their product is good enough for the next "performance". If not, he'll make them eat it. Back at Peggy's house, Kate awakens to find that she is not there, and instinctively knows that she's in Muskeet. At that point, Peggy witnesses what the performance is. The MC has collected victims of Blizz who suffer from a medical abnormality where they still stand even after they've died. This condition was first discovered in the battlegrounds of the war. They are then pumped with blood and forced to dance, and those who don't move are shocked with electric prods. Peggy watches in horror as the MC brings out her own sister, Anna (Melena Ronnis). When Anna falls off the stage, Peggy and Jak take her away from the Doom Room, to be followed by the MC and one of his goons. Peggy and Jak meet up with Kate where the MC sheds some light on how he came to "own" Anna. When she was still alive, Anna was just like the other teenagers in Muskeet, and Kate was sick of having to drag her out of the Doom Room every weekend. Then Anna overdosed on drugs, so Kate decided to sell her to the MC, and she was apparently still alive. Kate is beaten down and tries to explain to Peggy that she sold Anna because they had nothing. Angered at what her mother did, Peggy trades her for Anna. In the end, Peggy becomes another Muskeet style teenager, and watches as Kate's corpse is beaten with electric rods and forced to dance in the Doom Room. Momentarily, Kate's face flashes from that of her corpse to an evil version of her snarling at the viewer menacingly. Robert Englund as The M.C.